Our Digital World, Reputation Management, Good or Bad? Does Our Digital World Help Or Hurt Your Reputation? Anyone with an Internet connection can emphatically agree on the fact that today’s digital landscape facilitates the most efficient and convenient sharing of information in human history. The Internet is a success. The original purpose of the World Wide Web was information sharing. Today, the primary use of the Internet holds true to that originating intent. With the major motivation behind early digital inventions being resource sharing, it was inevitable that users (people) would find opportunities to post their opinions, experiences, and beliefs about people and things publicly. 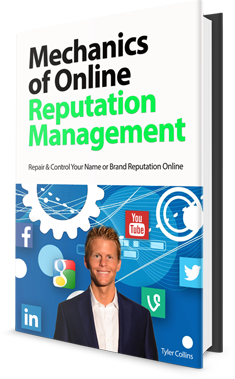 It is no surprise that people and businesses are scrambling to control what is being said about them online. Search engines were invented to organize the world’s information and media. Their primary purpose is to answer questions. People are accustomed to using search engines to acquire new information, get answers to questions, and seek new resources, products, or services. Billions of searches take place every day for information, products, businesses, and people. Users initiate searches from desktop computers, tablets, smart phones, even televisions. Search engine results pages (SERP’s) contain a variety of types of content. Editorial and news articles, polls and opinions, business and product reviews, all these forms of information have been available online for a long time. It wasn’t until search engines like Google became effective at serving these types of content to users through a methodology referred to as “Universal Search” that these opinions and reviews became more prominent in search results. Universal Search is a methodology of displaying search content, answering to a concept that suggests users searching for a brand, product, or person, are likely interested in a variety of different media types and sources – under this approach, search engines display a variety of content (regular sites, blogs, news, images, videos, social & review sites, etc) for any given search. The evolution of this methodology used by search engines has resulted in just about every business and individual’s search results showing a variety of different resources; Some favorable, and not so favorable. According to search engines, displaying a combination of positive, neutral, and negative content, improves the quality of the web, and the user’s experience in the search engine. This position of neutrality by search engines does not always fair well for businesses, or individuals.